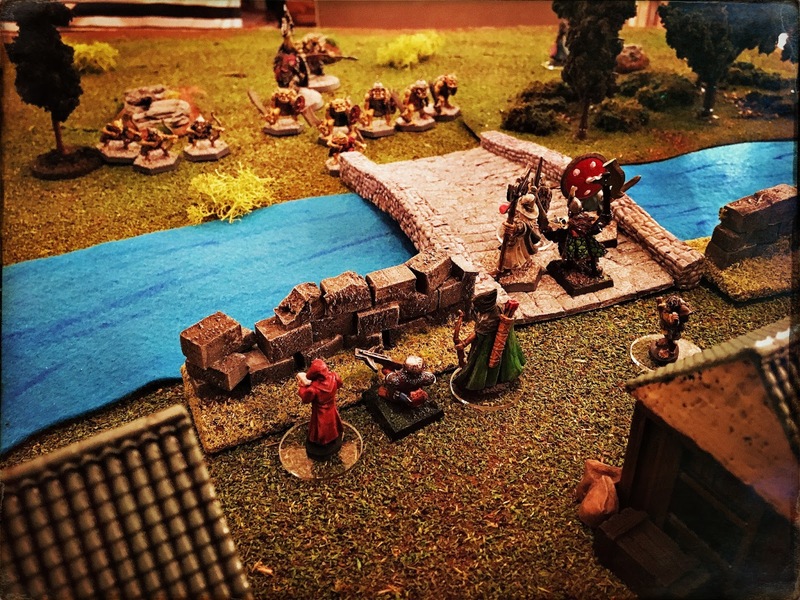 This past weekend we had a reprise of our scenario in which a band of wandering adventurers find themselves as the only hope a frontier village has against a vindictive band of orcs. "A band of roving orc reavers recently set up camp in the forest near a small hamlet. One night in a drunken stupor the orc captain wandered into the hamlet's livestock fields and began fornicating with various animals, a traditional way among the orc of insulting a neighbor. The settlement's residents heard the noise and ran him off with thrown torches and rocks. The orc stumbled back to his camp, singed and with a long gash along his scalp from one of the sharper of the hurled stones. He was met by his compatriots with a howl of guffaws that continued to echo in his ears long after his men returned to their slumber. 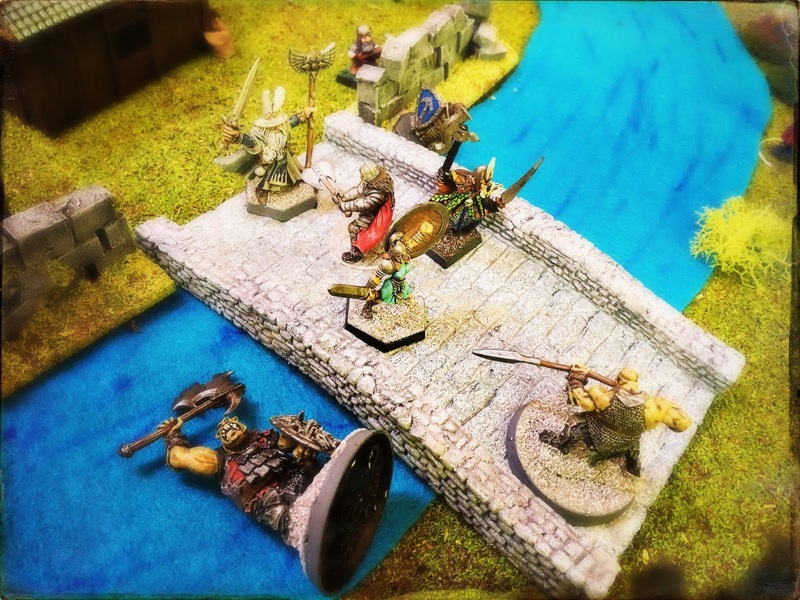 To assuage his shame, the next morning he orders his men to decimate the hamlet, not realizing some wandering adventurers arrived shortly after the villagers had driven off the orc captain." 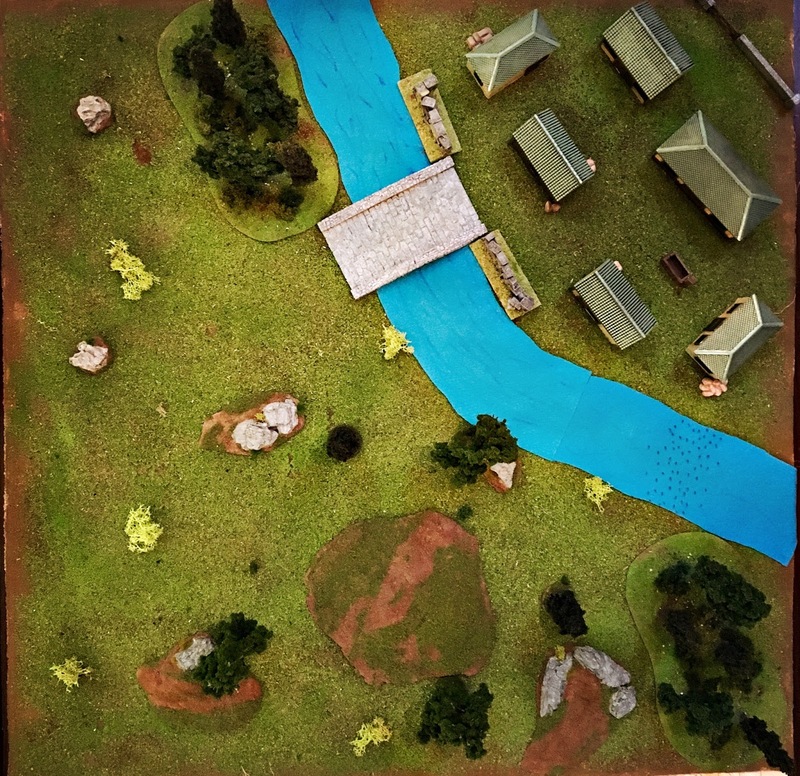 Nice miniatures and battle reports! Good paint job on the miniatures. I noticed you're using the clear bases for some of the miniatures. Good call; I prefer using those myself. Yep, I just recently switched to the clear bases. I really prefer them now, too. Wish I had started with them! Thanks, Redroom! Photographing them is a lot of fun!